That’s a fair summation of a website I was recently steered toward, the proactive-sounding NCBeerJobs.com. Look, the domain even contains things I’m for: North Carolina, beer and jobs! How could this possibly be a bad thing? It warns about two bills moving through the N.C. General Assembly that are “threatening the livelihood of 1000’s of North Carolina workers.” When I view this site on a mobile device, the petition is conveniently at the top, so I don’t even have to read through a bunch of troublesome words to blindly commit to a cause. Seriously, go check this website out; I’ll wait. All I ask is that you finish this piece before you sign. I’ll try to entertain you with the truth as I expose this website for the deceitful, misleading, fear-mongering piece of skewed garbage that it is. Thursday afternoon, and rush hour traffic is nipping at my heels. I can almost feel I-77 swell behind me with an influx of northbound traffic, and I do my best to ride this wave to the D9 Brewing Company in Cornelius without getting overwhelmed. Let’s get this out of the way: You’re not lost or a victim of a wrong turn. This brewery is really in a business park. There’s not much in the way of outdoor signage, save for a sizeable “D9” logo taking up the front doors that I drove right past on my first attempt. I blame traffic exhaustion. 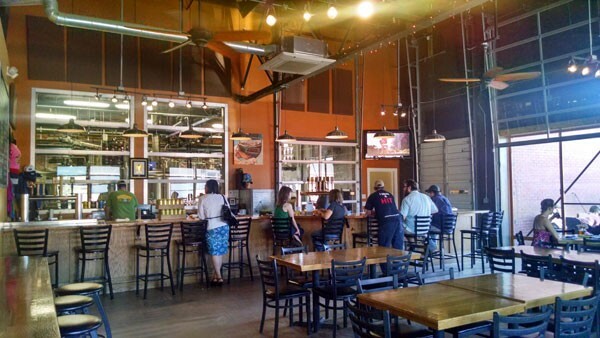 The doors open into a high-ceilinged taproom, with the bar sitting at the back left corner, just past the enclosed brewing area. After that drive, I need a beer before I look around much further, so I’m going to get to it. I lead with the Loch Norman Scottish Ale, with the offering board listing it as the “official beer” of the Highland Games. It’s certainly to style; medium-brown coloration, medium body, with flavors of toasted bread and slight caramel notes stacked on top of a subtle earthy hop presence. This trip, Guy Fieri's checkin' out high octane joints in Charlotte, N.C., with NASCAR driver Clint Bowyer. First, the relocated Triple-D alum dishing out dynamite burgers and a unique spin on shrimp. Then, the go-kart track serving revved-up sandwiches like steak with fig preserves and smoking hot chicken. And parked at the Charlotte Speedway, the funky food truck firing up tasty flavors like chana masala tacos and buffalo cauliflower sliders. The following episode also includes Charlotte, but an air date has not been announced yet. This trip, Guy Fieri's indulging himself in righteous, rich recipes. In Charlotte, N.C., the crazy seafood spot reeling in off-the-hook gumbo and a spicy mahi mahi specialty. Across town, the mother-daughter team serving up savory lamb ragout and a decadent ice cream sandwich. And in Los Angeles, the Korean-German combo firing up drunken chicken and a killer burger. National Beer Day? Yes, it’s a thing (unofficial of course). More importantly, it’s the perfect excuse to check out some of Charlotte’s own local brews, especially the seasonal ones only around for spring, however short that season may be down here in the South (we’re already in the 80s this week). The semi-legit holiday came about to celebrate the end of Prohibition, which went into effect on April 7, 1933 as a result of Roosevelt signing the Cullen-Harrison Act. Before the act, people had gone 12 years without a legal drop of booze. Talk about withdrawals. The new act allowed people to sell and drink beer less than 4 percent ABV (certainly not the case these days). 1.5 million barrels of beer were thrown back on that historical day. Here's a quick list of local brews to satiate your palate. Last day of the month, and I’m right on time to NoDa Brewing. Well, make that two minutes early for its 4 p.m. opening. 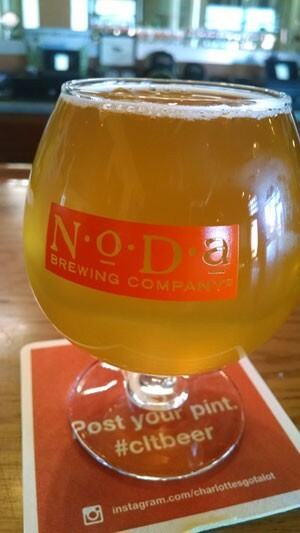 Tuesdays find NoDa tapping a different one-off beer each week, part of a series known as the NoDable. This week’s offering, No Zest Needed, is a Belgian Pale that benefits from citrus notes courtesy of a well-chosen hop selection (Amarillo & Lemon Drop, a relatively new variety). The NoDable is but one of 14 offerings on tap today; one of Lenny Boy’s kombuchas makes a guest tap appearance as a non-alcoholic option. The taproom itself is curiously in the middle of NoDa’s building, a necessary relic of bygone days, when city ordinance mandated they be situated 400 feet from any residence (the easement has since been reduced to 100 feet). This taproom doesn’t occupy much space, which is unfortunate for the weekend warriors. Life just hasn’t been the same for this hometown brewery since its Hop Drop ‘n Roll IPA won a gold medal at 2014’s World Beer Cup. I’m sure you may have expected to find some bright, verdant dish here on the page this month. Maybe you were hoping for a colorful plate of vegetables sounding the trumpet of springtime, bursting with fresh flavors and edible flowers. Perhaps, you thought I would wax poetic on the spring revival at the farmer’s markets? Nope. Not this time. This dish, my friends, is dedicated to the betterment of my sanity. It is the proverbial (and quite unexpected) chicken soup for my soul. And, there’s no chicken in it. Sometimes a dish is in the right place at the right time and it is everything one needs at that moment. 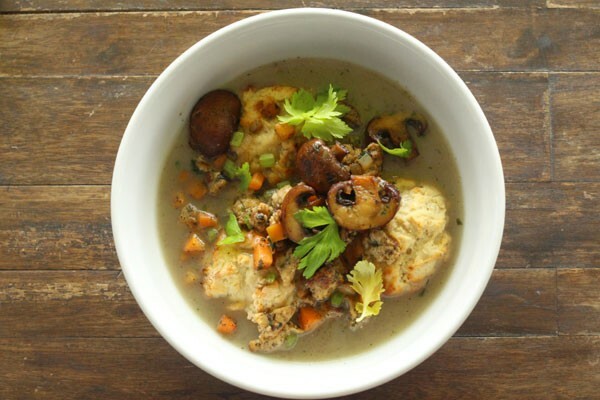 The “Chicken” and Dumplings at Fern — a feature on the new spring menu coming out the second week in April — was that for me. 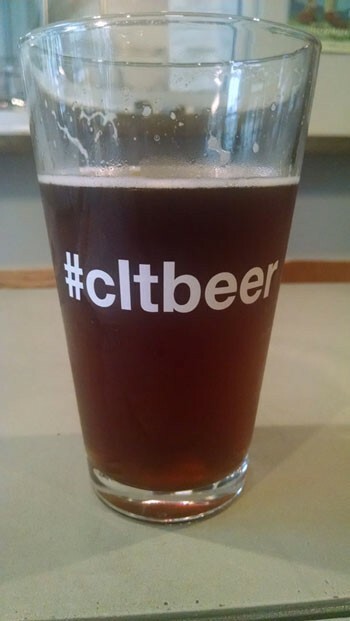 Editor's Note: Our beer writer is embarking on a self-imposed Charlotte brewery tour, visiting one a month. Here's his second report. In January, he checked out Olde Mecklenburg Brewery. A funny thing happened after my February visit to Sycamore Brewing: I lost my notebook with my writeup. I then became engrossed in sketching out an upcoming article, so I’m just now getting back over there. As an act of contrition, I will now insert this carnivorous earwig into my brain. Or, better yet, I’ll double up and turn in two brewery reports this month to get back on schedule. 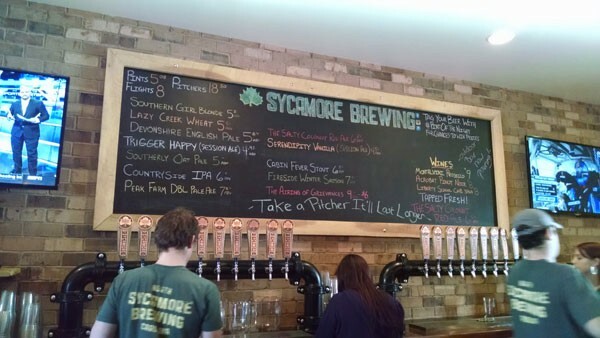 Let’s cut right to it: there’s beer to be found at Sycamore (2161 Hawkins St.). On this visit, I’m counting 12 different in-house beers on tap, plus three wine varietals. That’s down from the 16 beers available during my last visit. Of these 12, four are brand-new to my eyes. Obviously, rotation is the word of the day here. Alcohol content runs manageable too, which seems to serve the ping-pong-playing, pitcher-drinking crowd just fine. Beer styles on offer skew slightly British, but not exclusively so; Germanic wheats and Belgian strongs feel at home here. I’m fighting the urge to order the hits, like Peak Farm Double Pale or Southerly Oat Pale. No, it’s a Deep Cuts kind of night, and I’m opting for what I might otherwise skip in order to expand my own horizons. Food News Could it be? A ramen house is coming to Charlotte? If ramen isn't your thing — what's wrong with you? — the menu will also include steamed buns, fried dumplings, Japanese fried chicken, sushi and more. And we're excited to hear that the restaurant plans to have local beer on tap, in addition to sake. Did South End just get a little more cooler? I think so. Futo Buta will be located at 222 Bland St.
Post by Pinky's Westside Grill. We’ve all suffered through — or, for the masochists, enjoyed — a few mandatory years of mathematics classes. There is always that one teacher who drops cheesy math jokes on the regular in hopes of infusing a little flavor into the dry daily equations. “Gee, I’m a tree” and “Because 7 8 9” are true classics, but did you know that 3.14% of all sailors are Pi-rates? 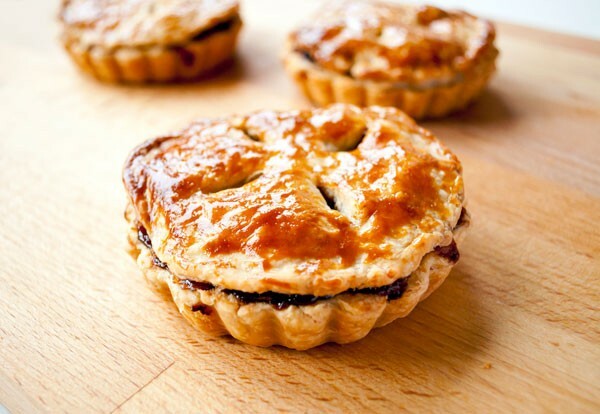 Saturday, March 14, or 3.14, is a day dedicated to celebrating π, “Pi.” Pi is an irrational mathematical constant with an unending decimal taught to most gradeschoolers using the adage “Pies are square, not round.” This year also makes the date include the first five numbers of the unending sequence. To help with the festivities, we’ve put together a list of local home-grown bakers to fuel some beautiful minds at work. If there is one thing I can't make in the kitchen, it's banana pudding. Every time I try, it turns out to be a failure. It looks so sophisticated, this cake's got me feeling like Miss Fancy Pants baker girl.